Recommended for large volume industrial and distribution service, are easy to install and maintain. The fabricated steel construction permits application with maximum working pressures from 175 to 1440 psig. Standard filter element removes particles to 10 microns. 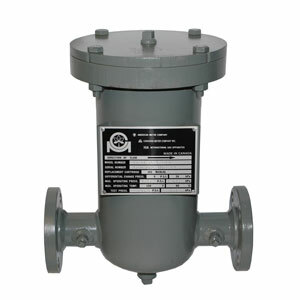 Flanged models available in 2" through 12" sizes.